Is someone radically different after an analysis? Since Freud, psychoanalysis has been questioned about what the psychoanalytic experience can change in someone’s life beyond shedding light on symptoms. 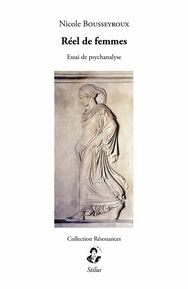 Drawing on literature, philosophy and a range of psychoanalytic theorists and practitioners, Luis Izcovich addresses the effects of psychoanalysis on the individual who has the desire and the courage to enter an analytic treatment and take it to its endpoint. The subject bears the marks of his childhood and these have repercussions on the choices that he makes in life. Do these marks determine him or does he have a choice in making his destiny? How do the transformations brought about in the transference change the subject? And does the analysis leave a distinguishing and locatable mark? Luis Izcovich attempts to answer these questions from a Lacanian perspective.